Don’t you just hate when you have a palette of four or five different products and one runs out, meaning you have to replace the whole damn palette?!!! 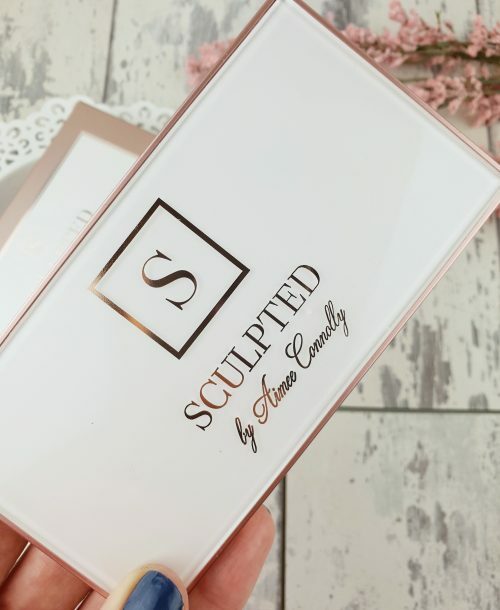 Well, Sculpted by Aimee Connolly has us sorted. The Custom Edition palette is a magnetic 4 pan palette which allows you to custom build your own palette. 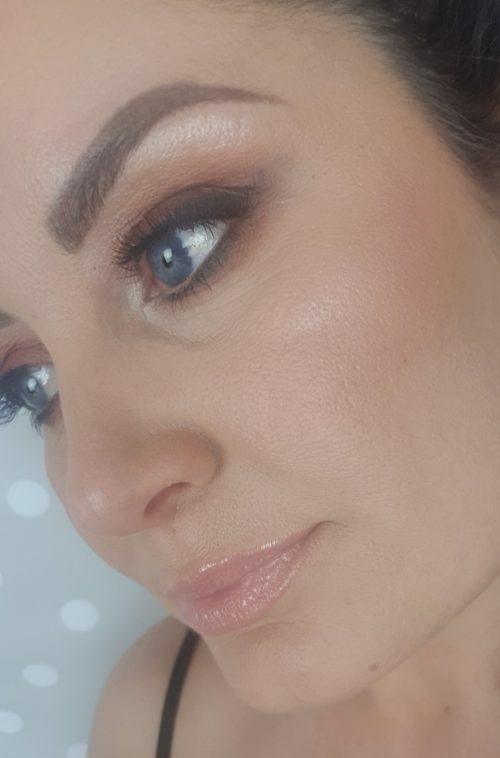 In the range there are 3 Bronzers, 3 Blushes, 3 Powder Highlights and 3 Cream Highlights. You can mix and math the products and shades as you wish. The choice is yours!! The best thing is once one runs out you can simply replace that one instead of forking out again for a new palette. 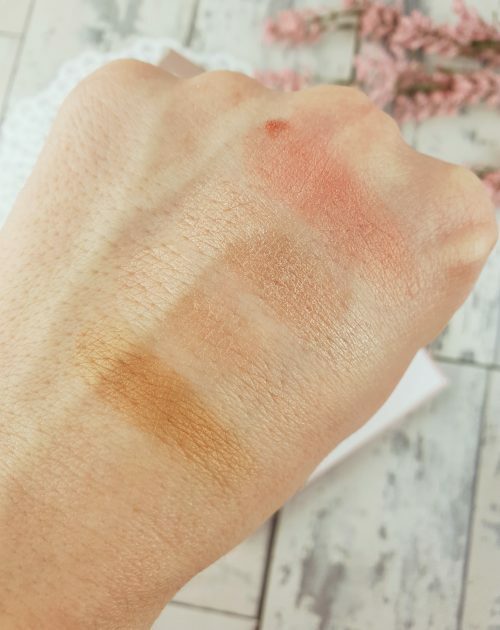 The shade range is pretty versatile. There are some fab shades for lighter complexions and also some for more tanned skin. There are not many shades to suit darker skin tones though! Maybe in the future I hope! I LOVE the idea of a custom built palette. It makes it so much more affordable too because if you choose right you will use each product . There are normally one or two shades we never touch in a palette right?! Not with this though!! The packaging is super pretty too. Not only that, it’s a really sturdy, good quality palette. The shades I have are lovely. The only one I feel is not the right fit for my skin tone is the powder highlight. It’s too dark so I tend to only use it when I am self tanned. The quality of the products are lovely too. There can be some fall out on my blush but once blended into the skin it really looks so natural and glowy. The cream highlighter works really well even over powders. The pans are a pretty decent size so although it would only cost €8 to replace one, you won’t be running out any time soon. I would like to have a matte bronzer in my palette but I am not sure there is one available. I tend to like a matte bronzer and then add the glow with my blush and highlight. To be fair, the bronzer isn’t very shimmery so it is workable. 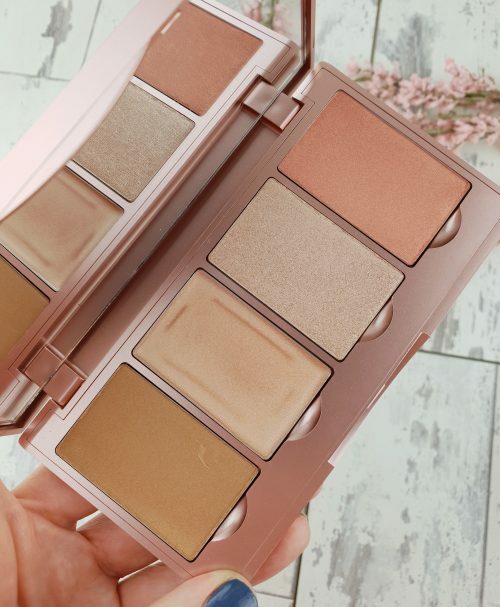 The empty palette will set you back €9 and then each product is €8 per pan. A total of €41 for a full palette. You can also buy the palettes ready made. There are three different types available. Royal Rose, Bronzed Bombshell and Golden Girl. You can buy these direct from the Sculpted By Aimee website. They are also available in selected pharmacies including Roches Pharmacy where you can get 15% off using my code Adorn1 (not an affiliate code). Let me know what shades you chose for your palette and what you think of them below.